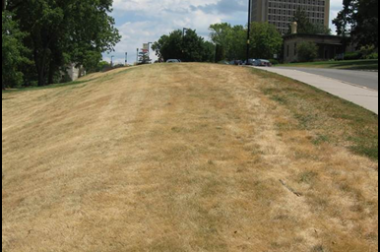 Southern Wisconsin has had a prolonged period of very hot and dry conditions. Many parts of the state have seen little or no rain in at least 30 days. Kentucky bluegrass is the dominant species of grass growing on Wisconsin’s lawns. Fortunately, it is extremely tolerant of these conditions and can survive periods up to and even beyond 60 days without water. Kentucky bluegrass survives by allowing its leaves to die, but keeping its “crown” alive. 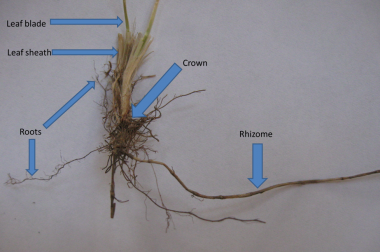 The crown is the tiny part of the plant where the grass blades meet the roots. It is so small, that it requires only a minute quantity of water to survive. However, at some point, it too will die. 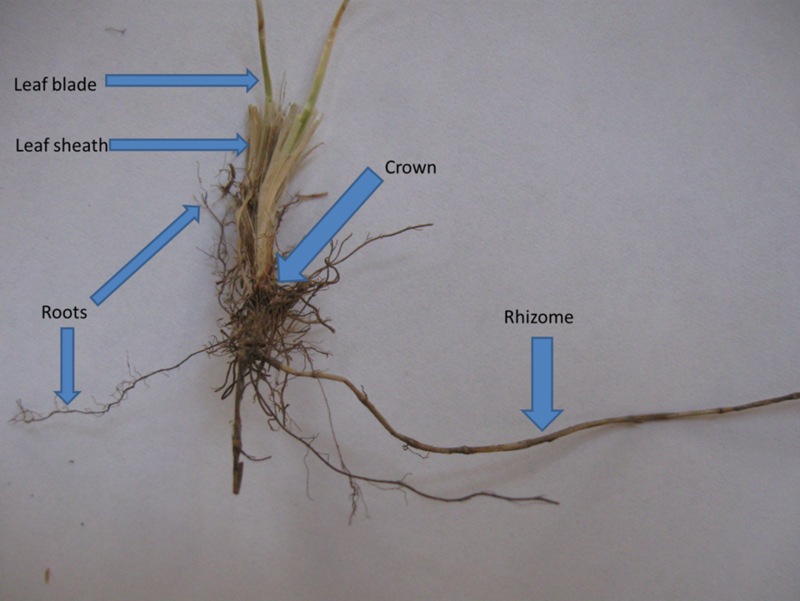 Fine fescue and perennial ryegrass are fairly common components of lawn seed mixtures. 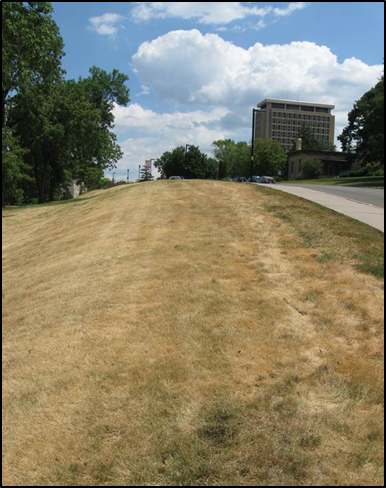 While fine fescue can survive the drought as well or better than Kentucky bluegrass, perennial ryegrasses are probably near death. 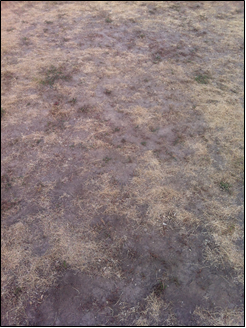 The good news is that our winters usually kill perennial ryegrass, so most lawns don’t have large populations of it. How much longer can my lawn survive? First, to lengthen the time your lawn can survive without water, don’t apply any fertilizers, herbicides, or other chemicals to your lawn. 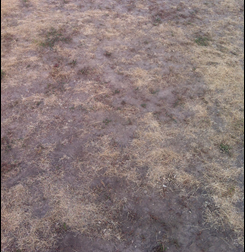 Other than the types of grass in your lawn and how you manage it, many variables affect how long your lawn can survive without water. Grasses that receive foot or vehicular traffic are much less tolerant of dry conditions. 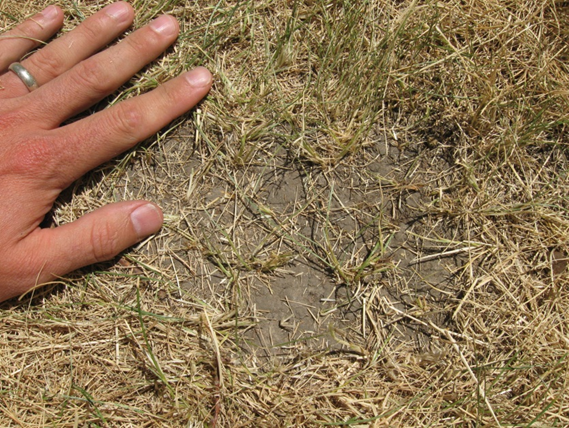 Lawns grown on compacted soils will require more attention than those on healthy soils. 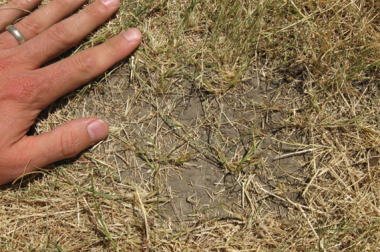 Similarly, high clay or sand content soils cannot support drought stresses lawns as long as a loam or silty soils. If your lawn falls into any of these categories, I recommend watering it soon, following the guidelines below. How much and when to water? Healthy green grass uses about one inch of water each week. However, when your turf is brown, it uses much less. In fact, you only need to apply about one quarter of an inch per week (or about a half inch every other week) to keep the crowns hydrated, and ensure that your grass will green up when the rain begins. It is not a good idea to apply much more than this amount, as the turf will start to send out new green leaves which will require lots of water to maintain their greenness. Water at night or early morning, when peak demand it lowest, and evaporative losses are least likely. Is there a way to check to see if my lawn is still alive? Unfortunately, it is quite difficult to tell if the crown is still alive simply by looking at it. However, some clues that your plant is doing fine is any semblance of white tissue around the crown (you’ll have to peel back most of the leaf sheaths and pick off some roots. Another good sign that the grass is alive is green tissue like that shown in the leaf blades in the picture below. Also, it is a good sign if the roots are firmly attached to the crown and difficult to detach by pulling.